Sue and Jim bought a vacant lot along Lake Michigan many years ago. They had planned to build a second home so that their children could spend their summers along the lake. 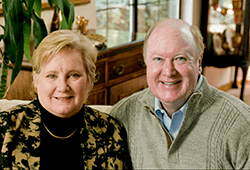 However, as time went on, Jim's job kept him in town and the children grew up before Sue and Jim had the financial resources to build on the land. Jim: Over the years, that lot increased in value. It now is worth much more than what we paid for it. We paid about $40,000 for the lakeside property and it is now worth almost $200,000. Sue: The lot has gone up greatly in value, and with the children out of the house we were thinking of selling the property. We wanted to sell, but we also wanted to avoid paying so much in tax on the sale. 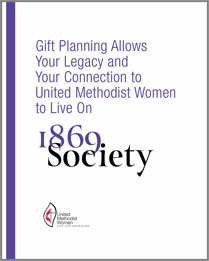 We were thinking of making a gift of 25% of the property to United Methodist Women. Jim: I happened to be talking to a CPA at a community luncheon. He mentioned that we could probably give about twice as much with almost the same cost if we gave 25% of the property (prior to the sale) rather than writing a check after the sale. After talking to our tax advisor, we discovered that if we gave a 25% interest in the property to United Methodist Women, we would receive two benefits. We would get an income tax deduction for the value of our gift plus save on capital gains tax on the 25% interest given away. Sue: That is what we decided to do. By giving United Methodist Women a 25% interest in the property prior to the sale we saved the capital gains tax on that part. The deduction on that part offset a large portion of the tax on the $150,000 we received when the property actually sold. We are very pleased with the "double benefit" from giving the property, and United Methodist Women received $50,000, a very nice gift. *Please note: The name and image above is representative of a typical donor and may or may not be an actual donor to United Methodist Women. Since your benefits may be different, you may want to click here to view a color example of your benefits.